Sushil Kumar Modi said Bihar has done away with levying of surcharge on delayed filing of returns as incentive to them. 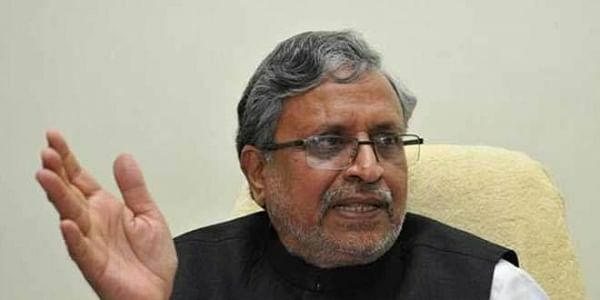 PATNA: Alarmed by steep fall in the number of tax payers filing GST returns in Bihar, Deputy Chief Minister Sushil Kumar Modi today said the state has done away with levying of surcharge on delayed filing of returns as incentive to them. "Following introduction of GST in July this year, 72 per cent of the state's 1.85 lakh tax payers had filed their returns. However, the percentage fell sharply to 55 per cent in August and dropped further to 42 per cent in September", Sushil Modi, who also holds the finance portfolio, said here at the meeting with the state's industrialists and businessmen. The meeting was convened to receive feedback from industrialists and businessmen of the state on difficulties faced by them under the new tax regime which was rolled out from July 1, 2017. Sushil Modi said forms for filing returns under Goods and Services tax would be made "more simple" to make the process easier. The state government has done away with levying of surcharge on delayed filing of returns, he said. "Those who have deposited the surcharge in the months of July, August and September will be given a refund," he added. "GST is the largest network of its kind in the country. Number of returns filed under this system has been upto one lakh per hour and 12 lakhs per day. The GST council is committed to providing all facilities to tax-payers", Sushil Modi, who is a member of the GST council, was quoted as saying in a statement here.